Central America is culturally Catholic, with serious pursuit of Catholicism varying by region and strength of local leadership. While not the "state" religion in any of these nations, Catholicism enjoys a kind of "favored son" status religiously speaking. In Costa Rica, for example, a building project can only be designated a "church" if it is affiliated with the Catholic church. Other sects or religions must designate their building projects as "multi-purpose" structures. Most political leadership emerges from the Catholic sector. Protestant, Evangelical presence in Central America is in the minority, though widespread and well recognized. It comprises some 10% of the Costa Rican population. Ongoing evangelism is needed, particularly in remote, rural areas. However, there are seminaries and Bible schools, and training of lay workers and leaders. The need is for more materials and increased discipleship and leadership development. The growth and popularity of the Evangelical churches has had an impact on Catholic practice in some areas. In some Catholic services the same choruses are sung that are heard in small Evangelical churches nearby. Some Catholic churches are also teaching the Bible in a more focused way, a reflection of practices in the Protestant, Evangelical movements. Perhaps the most significant and exciting trend in the Evangelical church in Central America is the move toward becoming missionary senders. Many churches are beginning to send and support missionaries from their own midst. A strong contingent of Latin and Central American missionaries is presently working with Muslims all across the 10-40 window. In Central America there is great poverty as well as both physical and spiritual need. 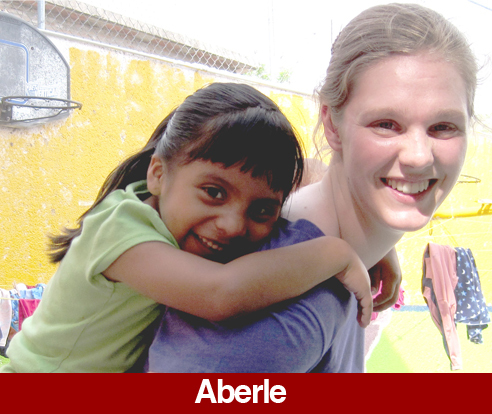 If you feel called to minister within Central America, Go Ye could be the mission for you. Pray for ongoing evangelism, discipleship, leadership development, and teaching materials.